With so much happening on Bay area stages, it's all too easy to narrow one's focus to events taking place in San Francisco and the East Bay. Doing so would be a disservice to arts organizations on the Peninsula that stretches from San Francisco down to San Jose. When I first moved to San Francisco in 1972, a friend drove me down to Stanford University for a performance by the Harkness Ballet. Since then, some of the Peninsula's arts organizations have succumbed to funding problems or merged with other companies. Long before Silicon Valley businesses became a potent source of arts funding, community orchestras and theatre groups were evolving into major organizations and regional theatre companies. 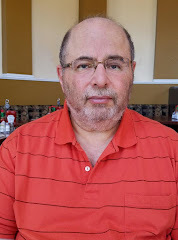 What began as the San Mateo Community Theatre subsequently morphed into the Peninsula Civic Light Opera in 1983 and since 1999, has been known as Broadway By The Bay. For many years, the company's performances have taken place in the drab San Mateo Performing Arts Center (the auditorium for San Mateo High School). With that facility closing for repairs and renovations, the company has announced that it will be moving its performances to the Fox Theatre, a 1600-seat former movie palace that was built in Redwood City in 1929 and added to the National Register of Historic Places in 1993. As the company celebrates its 45th anniversary, the Fox's Spanish-Moorish interior and Gothic Revival exterior will be a welcome relief from the bland functionality of the San Mateo Performing Arts Center. Last week I attended two performances produced by Broadway By The Bay that could not have been more different. On the main stage, the company was offering a revival of Annie, a 1977 musical with a book by Thomas Meehan, music by Charles Strouse, and lyrics by Martin Charnin. 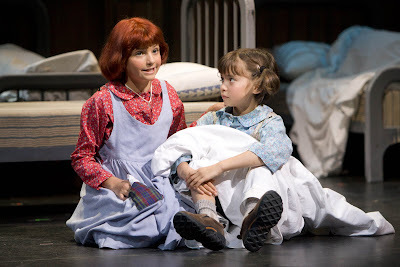 Based on the Little Orphan Annie comic strip by cartoonist Harold Gray, the musical ran for six years on Broadway and has remained popular with regional audiences as a family attraction that is almost guaranteed to do well at the box office. Call me a curmudgeon, but when I first saw Annie 30 years ago I could not, for the life of me, fathom what everyone was screaming about. Revisiting the musical only confirmed my impression that, as a stage property, it is a ploddingly mechanical and manipulative beast that is surprisingly lacking in charm. If you're the kind of person who does not find child actors totally endearing, irresistibly adorable, and hopelessly cute, Annie may not be your cup of tea. What is it, then, that continues to draw audiences to this show? Some of its musical numbers ("Tomorrow," "Easy Street," and "It's A Hard Knock Life") have strong appeal. Others ("I Think I'm Gonna Like It Here," "We'd Like To Thank You Herbert Hoover," "You Won't Be An Orphan For Long," "Something Was Missing," and "A New Deal For Christmas") induce yawns. While Miss Hannigan's big number ("Little Girls") offers lots of opportunities for comic mugging and "You're Never Fully Dressed Without A Smile" captures the sound and spirit of early radio, most of Annie's script lumbers around the stage with a perplexing heaviness. Even the big production number "N.Y.C." becomes an oddly mechanical and deflating experience. I don't think this is the fault of William Liberatore's occasionally slow tempos or Bill Carrico's sound design (which added an extra level of shrillness to the voices of the younger members of the cast). I think it just comes with the territory. Annie is a very old fashioned show which is set in the 1930s during the Great Depression. What did surprise me was how timely some of the dialogue between Daddy Warbucks and Franklin Delano Roosevelt became when talk turned to government's so-called responsibilities toward business. The production was well directed by Alex Perez with choreography by Katie Kerwin. 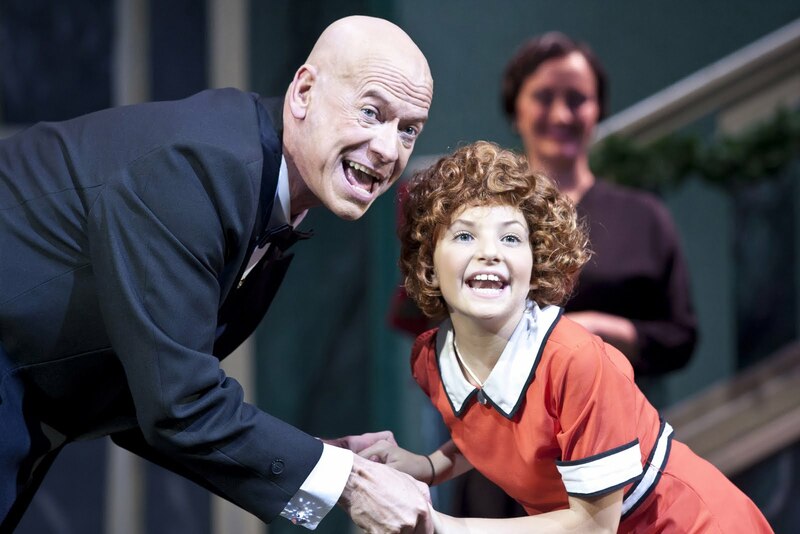 Maya Donato displayed a firm voice and appealing personality in the title role while Curt Denham worked hard to animate Oliver Warbucks. The shtick that keeps the show alive rests on the shoulders of the villains, most notably Noel Anthony as Rooster Hannigan, Brittany Ogle as Lily St. Regis (named after the hotel), and Cami Thompson as the evil Miss Hannigan (a solidly sung performance which often seemed to be channeling Bette Midler). In smaller roles, Juliet Heller was appropriately ingratiating as Grace Farrell, Ryan Halprin had some nice bits of business as Drake, Shaun Repetto was a slick Bert Healy, and Don Cima milked the role of FDR as much as possible. As is the case in many performances of Annie, the most genuine performance came from Scooter as Annie's dog, Sandy. On the other side of Highway 101, at the Bayside Performing Arts Center (which functions as the school auditorium for the Bayside Science, Technology, Mathematics & Engineering Academy), singer, songwriter, and jazz pianist Jason Robert Brown did double duty on Saturday by conducting a master class for young performers in Broadway By The Bay's Youth Theatre Conservatory during the afternoon and performing a solo benefit concert in the evening. To say that Brown's concert had all the vitality, electricity, and wit that Annie so sorely lacked would be a severe understatement. In addition to teaching at the University of Southern California, Brown is one of America's most promising songwriters for the musical theatre. Although he frequently performs with his band (The Caucasian Rhythm Kings), he has yet to play any gigs in San Francisco. Hopefully, this situation can be remedied by the folks at Yoshi's or The Rrazz Room. 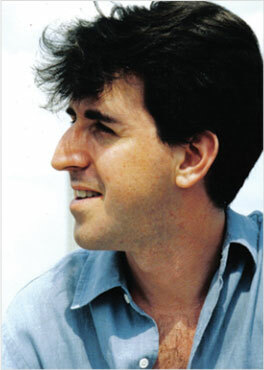 Brown's wit radiates in lyrics to numbers like "The Stars and the Moon" and "Surabaya Santa" (from 1995's Songs For A New World). But what proved most exciting and fascinating for me on Saturday night was his dexterity as a jazz pianist and the skill of his arrangements. In between bantering with the audience, Brown performed songs from several of his shows. I particularly enjoyed "The Old Red Hills of Home" (from Parade), "Moving Too Fast" (from 2002's The Last Five Years), "Being A Geek" (from 2007's 13), and three songs from 2005's Wearing Someone Else's Clothes ("Nothing In Common," "I Could Be in Love With Someone Like You," and "Over"). I'm always fascinated to watch a singer-songwriter perform his own work, particularly because of the skill required to accompany yourself while performing. A joyous clip of Brown singing the hilarious When You Say Vegas (from Honeymoon In Vegas) on YouTube that is well worth watching. In recent seasons, some of San Francisco's smaller theatre companies have staged productions of Songs For A New World and The Last Five Years. The students in Broadway By The Bay's Youth Theater Conservatory will be performing Brown's latest musical, 13, from August 5-8. You can order tickets here. In May of 1990, the Portland Opera presented the world premiere of a challenging new musical drama. Meg Bussert starred in Christopher Drobny's opera, Lucy's Lapses, about a woman who knew she was losing her mind to Alzheimer's and had to find a way to kill herself while she could still think straight. Alice Ainsley (Diane Dorsey), an elderly woman who knows that she will soon die. Alice is rapidly losing her memory and has hired a young man to help her record her thoughts while she can still articulate them. Her late husband was a popular auctioneer whose gavel traumatized each of their children. Avery Ainsley (Heidi Kettenring), Alice's oldest daughter. The only Ainsley who managed to leave home and develop a life of her own, Avery has has not returned to the Ainsley Auction House for 15 years. With a gift for rapid-fire speech, she followed in her father's professional footsteps and became a talented auctioneer. For some unknown reason, she always wears a red rubber glove on her right hand. Annalee Ainsley (Molly Anne Coogan), Alice's middle daughter. Annalee has manically been trying to file things according to a unique system that only she understands. Whenever people start annoying her -- or she begins to feel overwhelmed -- Annalee relies on the bizarre techniques her therapist has given her to cope with stress. Amelia Ainsley (Jessica Lynn Carroll), Alice's youngest daughter. Amelia is obsessed with pairing objects together. She firmly believes that she can match people up according to to their belongings. If only her own marriage could be managed so easily! Aiden Ainsley (Liam Vincent), Alice's only son. A gay man who is also a control freak, Aiden hates clutter and has "issues." Arthur (Lance Gardner), the young man Alice recently hired. It doesn't take Arthur long to realize that he's dealing with a severely dysfunctional family. Nor does it take him long to fall in love with Aiden. I first saw Auctioning the Ainsleys in a staged reading last August as part of the 2009 New Works Festival at Theatreworks. At the time, I had trouble imagining how some of the scene transitions and various bits of stage business would be managed. Thanks to the witty set and costume design by Annie Smart (which positions the Ainsley Auction House on a rotating turntable with Aiden living in a basement apartment) and Meredith McDonough's spry stage direction, those problems have been nicely solved. "Recently I've become obsessed with the idea that we're given a finite amount of time in this life to do (or not do) something important. It's too easy to take that time for granted without stopping to consider where you are at any given moment. Recently, it seems time goes by incredibly fast. I became equally obsessed with what it might feel like if everything we had to show for our lives began to disappear, piece by piece. That's where the character of Alice began. A woman who's had a long and complicated life waking up one morning to discover all the remnants of that life are disappearing before her eyes." It takes a while for the audience to grasp the rhythms in Schellhardt's dialogue and latch onto the farcical nature of what could otherwise be an extremely depressing moment in a family's life. Auctioning the Ainsleys is also one of the few new plays I've seen in recent years whose second act is much stronger than its first. Auctioning the Ainsleys continues at the Lucie Stern Theatre in Palo Alto through August 8 (you can order tickets here). While this play may be an acquired taste, it has a unique charm that makes for an entertaining -- and often challenging -- evening in the theatre. Thanks for the review of JRB's concert, which my mom and I attended and enjoyed very much. I'd just like to point out that the third song he performed from his solo album was "Over," not "Flying Home" (which is from Songs for a New World). Thanks, this has been a very nice post. I have seen some adaptation of this play to spanish while I was in Argentina, in South America. I have stayied in some buenos aires apartments and the owner gave me tickets to see this play. It was very nice, in an underground theatre.